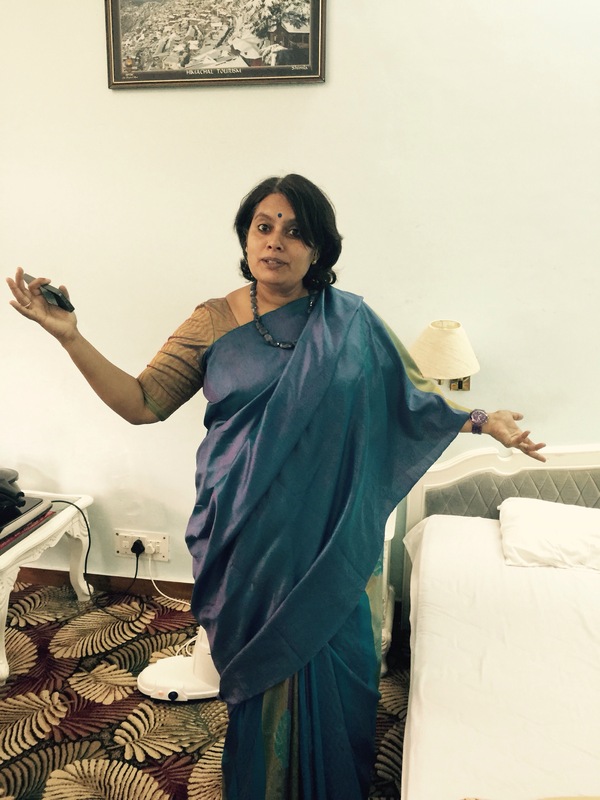 We bought this sari in 2013 at RmKV, Bangalore. Krishnan just loved the design and the color. This is a soft silk, no starch Kanchivaram. It almost feels like a chiffon or crepe and drapes really well. There is a little bit of design on the Pallu in cotton thread and there are beautiful flower motifs in vertical stripes over one half of the sari. I wore it today to go and meet the principal at ITI, Shimla. 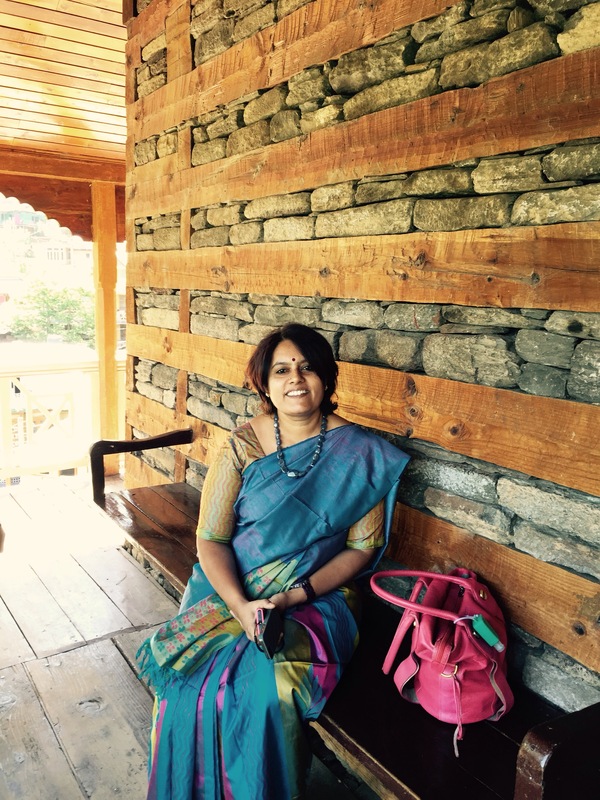 I had worn it before at Naggar palace, Kullu as well. Enjoy the two pictures :). The grey stone necklace is from Desh Maheswari. This is at the Naggar Palace. Krishnan caught me giving gyan :):). As many of you know I love to give gyan !! We are staying at the historic Hotel Peterhof in Shimla and the carpet in the room is beautiful.